Next week we have lots of poll stuff that'll be going up, including our February poll nominations and our final round of the Best Magic Poll. 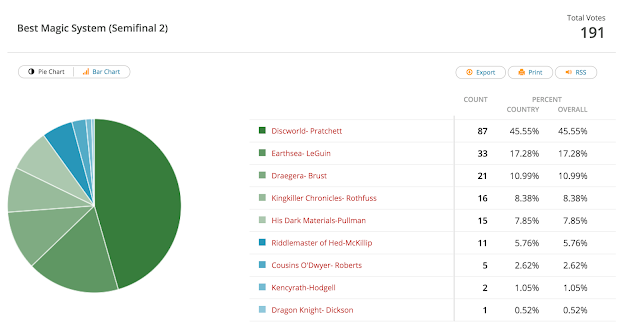 So here are the results from the second semifinal round of the Best Magic poll. Everything from His Dark Materials and up will be going on to the final round. Look for that tomorrow! Thank you to so very many for voting.